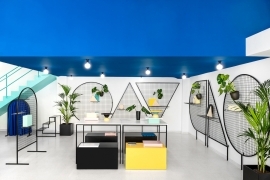 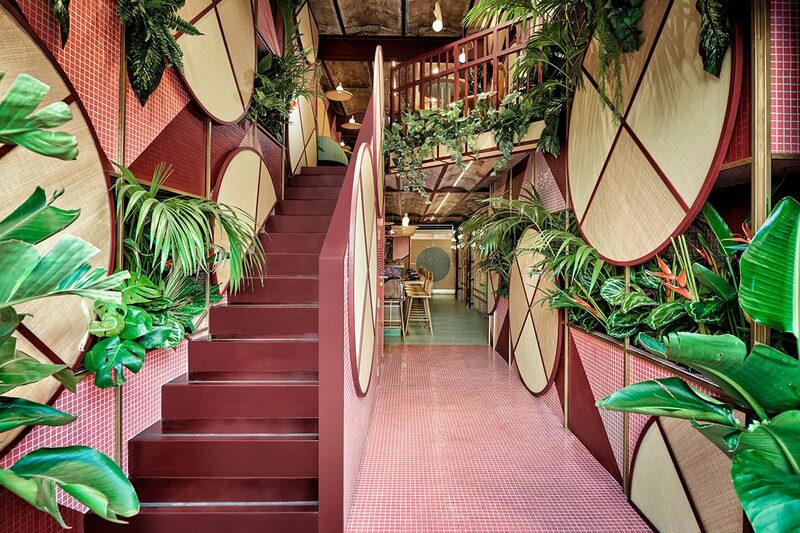 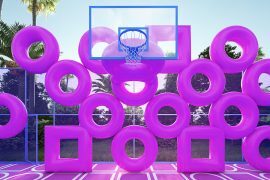 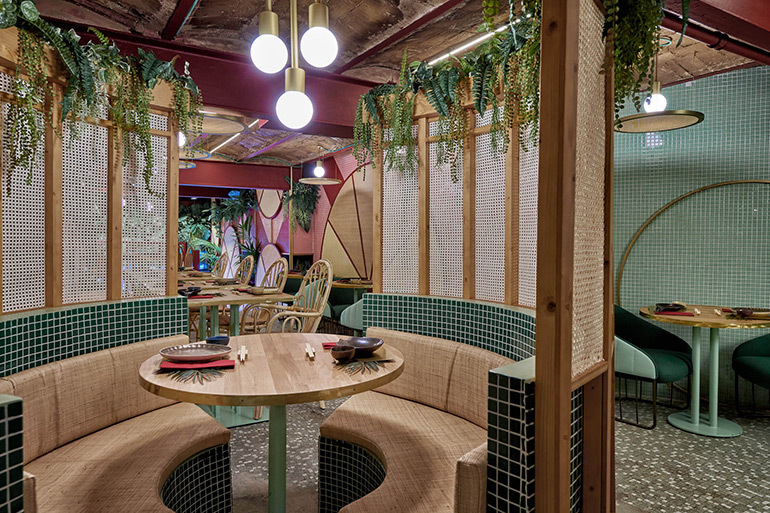 Valencia-based creative consultancy Masquespacio has completed its latest interior design project for Kaikaya, the first tropical sushi restaurant in Valencia, Spain. 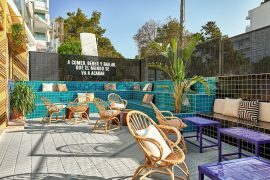 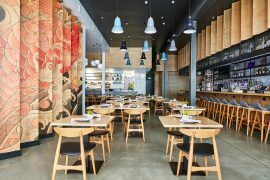 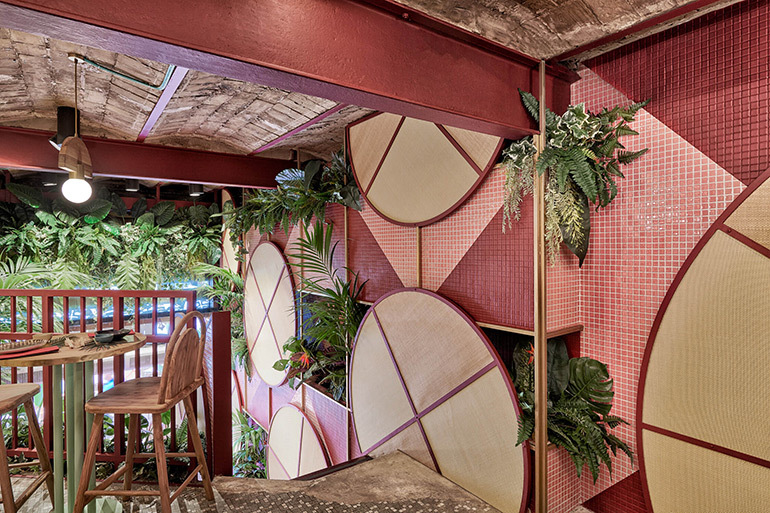 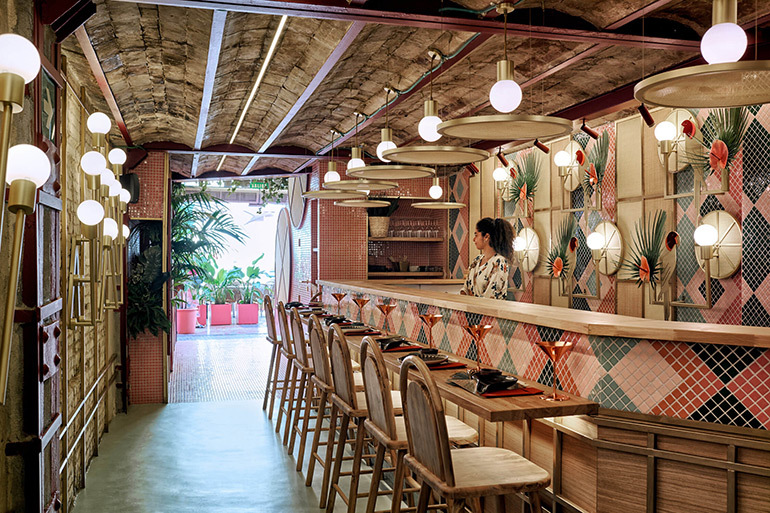 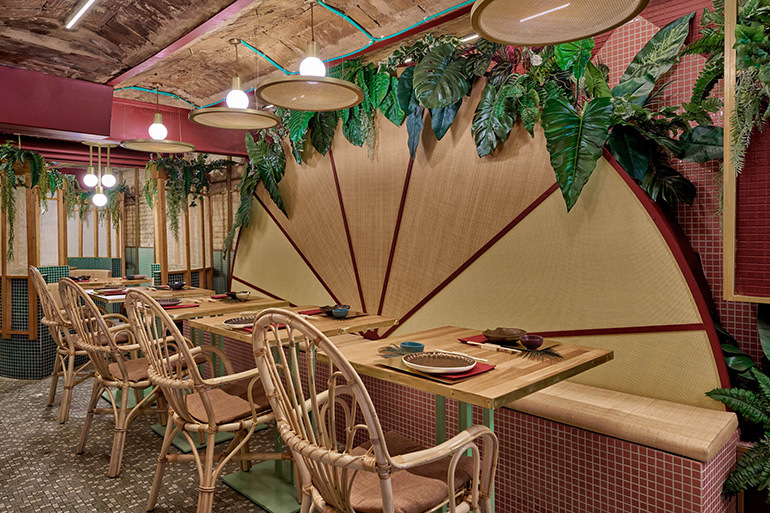 The restaurant’s founder is a Valencian almost converted into a Brazilian and passionate surfer, so the design combines Japanese elements with elements of Brazilian tropicalismo. 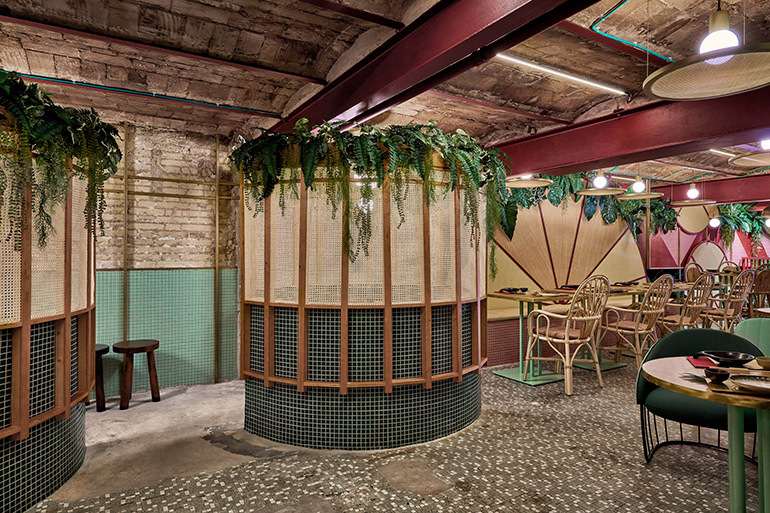 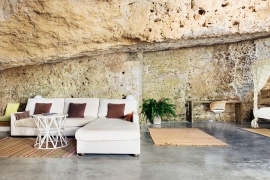 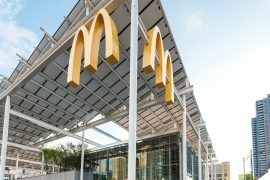 The designers kept the existing vaults, steel beams, and original brickwork in their original condition with all imperfections left by time. 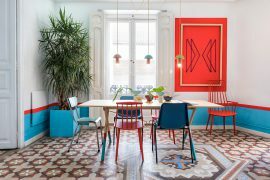 Over these surfaces, they added one more layer that mixed the elements of two cultures – Japanese and Brazilian – without being conventional. 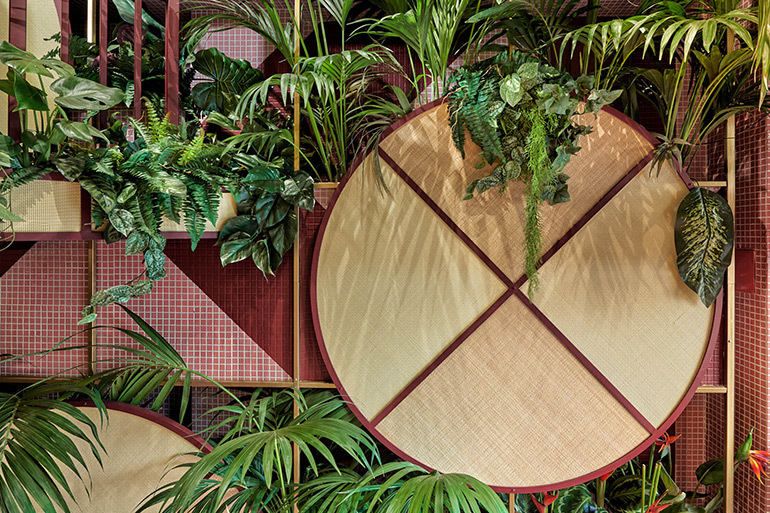 For example, we can find the materials reminding us of Japan, like wood and raffia, together with elements of Brizilian tropicalismo: colorful patterns made of mosaic tiles, parrots, and an overwhelming incorporation of plants. 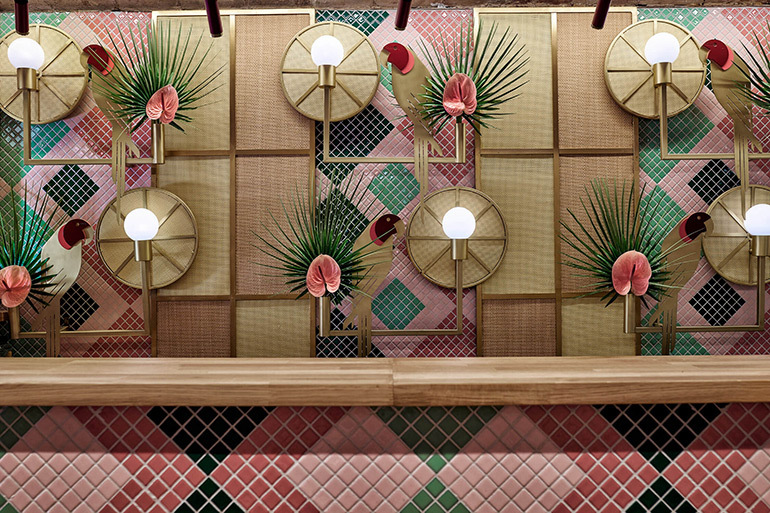 Entering the restaurant, we can see the raffia circles representing the hats used during the rice collection merged with the colorful mosaic tiles and tropical plants in an explosive way. 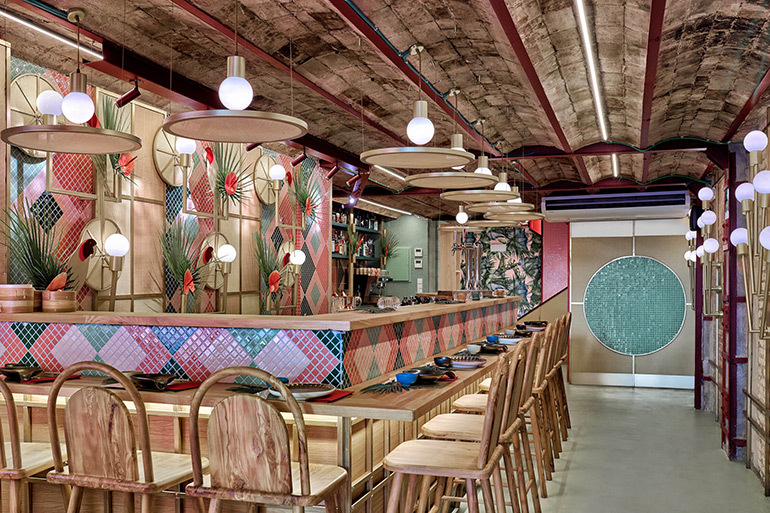 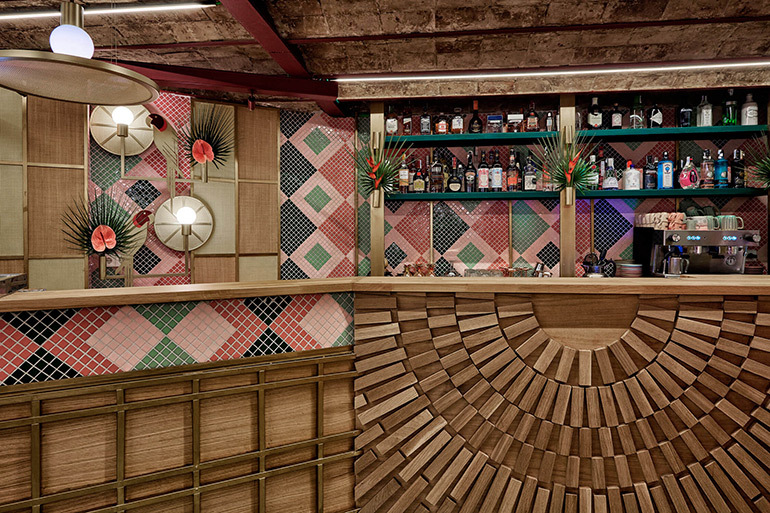 Reaching the bar, we again see the mix of Japan and Brazil through the traditional Japanese wooden pattern and the colored patterns inspired by the Brazilian Seventies. 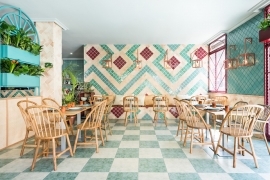 Here we can also find the parrot lamps with palm leaves designed specially for this interior as well as other decorative lamps. 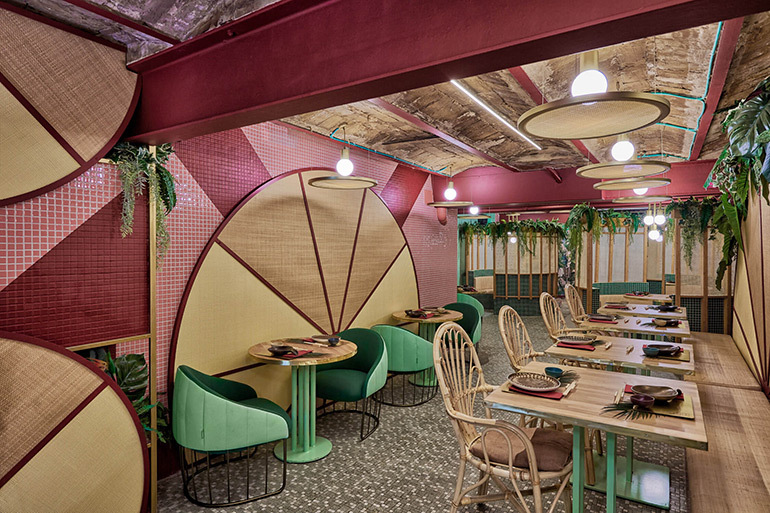 The round seating corners on the upper floor are also half inspired by Brazil and half inspired by Japan.